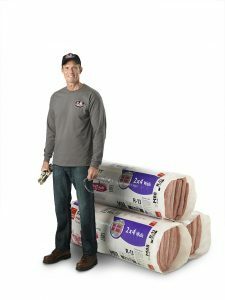 We provide insulation for both new construction projects and existing homes. Although insulation is an important element of building, it is often the least understood. Many people aren’t aware of the multiple places energy is lost in a home. As an Owens CorningTM Certified Energy Expert®, we understand the science behind the building envelope. So, you can turn to us to learn more about insulating your home. Need Appointment or Insulation Quote? Fill out form below to contact us. Metro Garage Doors offers all types of insulation. Properly insulating your attic will help reduce your energy bills. Attics are often one of the easiest places in a house to insulate, especially if you’d like to add insulation. Unless your home was specially constructed for energy efficiency, you can usually reduce your energy bills by adding more insulation. Many older homes have less insulation than homes built today, but adding insulation to a newer home may also pay for itself within a few years. Radiant barrier works a little differently than fiberglass and spray foam, reflecting heat instead of absorbing it. We use HeatBloc-Ultraradiant heat barrier coating, which has no odor, very low VOCs, low emissivity, and high reflectivity. Created for use in roofs and attics, radiant barrier can be used in conjunction with other insulation products for increased effectiveness. Modern insulation products have far surpassed previous insulation options, so upgrading can mean even greater benefit. Older insulation products are also more susceptible to moisture and pest damage, which may require a complete replacement. Our team is adept at handling full attic and other insulation restoration jobs, leaving your space cleaner, healthier, and more efficient. Preventative fire containment measures are an essential part of modern construction. In an effort to limit the damage in an unfortunate situation, we are able to apply effective firestopping materials as a precautionary, and code-adhering process. Often neglected, an uninsulated garage door can leave a large gap in a structure’s air infiltration shield. We work hard to keep the largest opening in your home well sealed and worry free. The results of good insulation aren’t just felt; they’re heard. In addition to thermal consistency, insulation is able to create acoustic consistency through sound reduction. We know how to choose and install insulation that allows for a much quieter and more peaceful space.